Today's review comes courtesy of the NonaActive. 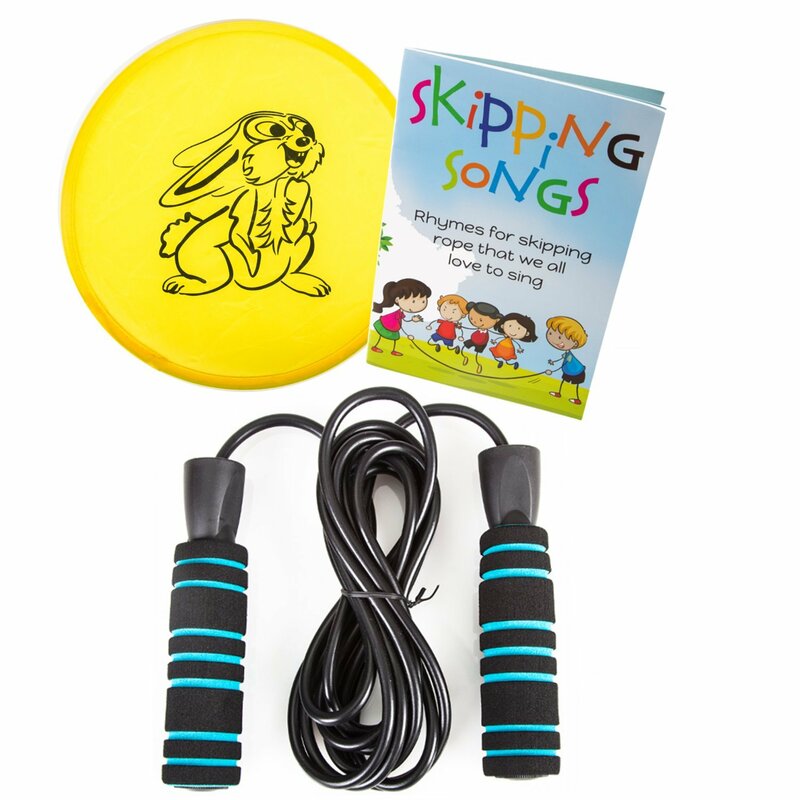 They sent me a jump rope package which included a frisbee and a book of skipping songs for kids! I thought this was a nice touch considering the kids obesity problem we have in this country. 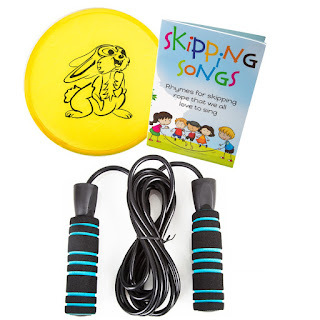 Though must kids will probably see this and only use it one or two times, it's still a good way to draw interest into the the frisbee and jump rope. nothing extra special as relates to the equipment. Honestly, I looked through the book of songs one time and don't even know where the frisbee is currently located. However, I use the jump rope about every other day either for myself or with one of my clients. 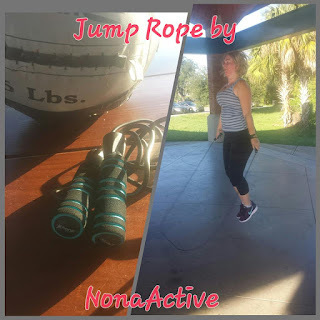 So in conclusion, if you can find a cheaper durable jump rope by all means get it! But, if you can't then this one is a good value as well. Nothing special about it, but you do get a few additions that you may or may not find useful. *This review has been provided in return for receipt of this free product. It was 100% my honest opinion of the product. So I got another package in the mail to review. This time it was the RIMSports Ankle Straps. Upon opening the package I noticed two straps were included. I was hoping they would have included some carabiners as well but it was just the straps. I did like the color of the ankle straps though. They were black with the letters highlighted in hot pink. Most times, ankle straps are used by women so I thought this was pretty appropriate. Though, I had been trying to make it to the gym to use these with one of my clients, scheduling conflicts and vacations delayed my review of this product. Instead of using the gym though, I decided to hook them up to my resistance bands. These bands were easy to hook up, and my client thought they were comfortable as well. Below is a quick snippet of her using the ankle straps. I put her through a glute and hamstring workout on this day. With the resistance, her legs were instantly burning! Thus, I'd say the ankle straps achieved the desired result. If you are in the market for some light weight equipment that is easy to slip into your gym bag, then I think these are a good addition. They are currently being sold for $19.99 on amazon. * I did receive this product at a free or reduced rate in return for my honest review of the product.